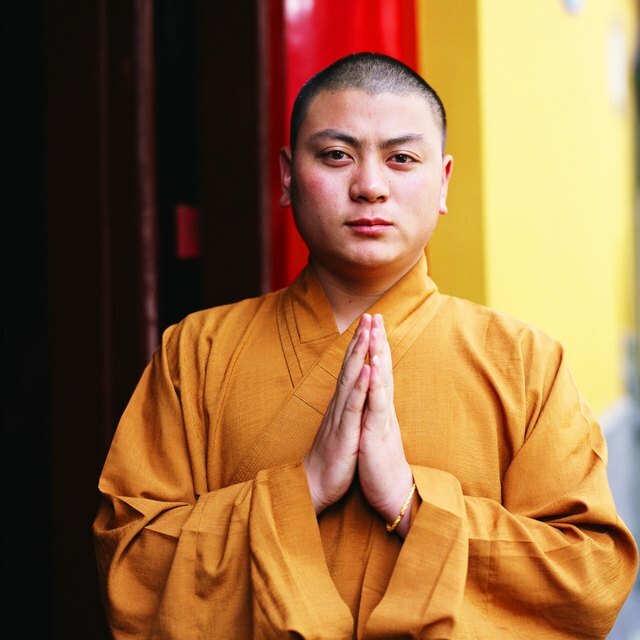 To Whom do Taoists Pray? What Is the Difference Between the Mauryan Empire & the Gupta Empire? What Is Hinduism's Relationship With Other Religions? Punjab is the only region in India with a Sikh majority. Hinduism originated among Aryan speakers from Central Asia, who brought it to the Indus Valley around 1500 B.C. While most modern followers reside in India or Nepal, the religion migrated throughout Southeast Asia, yielding impressive structures such as Angkor Wat in Cambodia and Akshardham in India. Because of its wide geographic reach, Hinduism has influenced and interacted with most major religions. In some cases Hinduism has even adapted the deities of other cultures into its pantheon. Based on the teachings of the sage Shakyamuni, Buddhism began in northern India, or southern Nepal by some accounts. 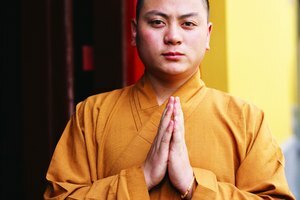 Like Hinduism, Buddhism is a Dharmic religion, and both believe in a cycle of reincarnation, or Samsara, based on one's actions in life. The goal of Buddhism, however, is to escape this cycle by reaching enlightenment and freedom, a state called Moksha or Nirvana. Hindus may achieve the same through spiritual growth, which allows followers to divorce themselves of ego and become one with the god Brahman. Hinduism accounts for a huge pantheon, sometimes absorbing deities from other traditions such as Christianity. 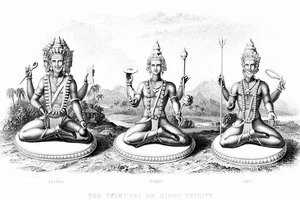 Most of Hinduism's gods are believed to be incarnations, or avatars, of three primary gods: Brahma the Creator, Vishnu the Preserver and Shiva the Destroyer. This allows Hindus flexibility when they gain knowledge of other deities. According to the Hindu priest Shaunaka Rishi Das, Ishu, one of Vishnu's avatars, "was born in a cowshed, was visited by three holy men, performed many amazing miracles, walked on water and spoke a wonderful sermon on a mountain." Some Hindus choose to worship the Jesus-like Ishu as their primary god, though they still maintain belief in other members of the Hindu pantheon. Others, particularly the members of the outcast Dalits, or Untouchables, choose to convert to Christianity entirely as a means of removing the social stigma of their status at birth. Islam was introduced to India by the Ummayad Dynasty of Caliphs in the 700s. Today it is the second-largest religion in India; nearly 2 million Muslims make India their home. Dalits in particular are drawn to Islam to escape the stigma of being "untouchable," though they may also convert to Christianity, Buddhism or Sikhism to accomplish this. Extremist Muslims and Hindus sometimes ignite violent, deadly conflicts, and India also has a history of contention with Islam-majority nations like Pakistan and Bangladesh. 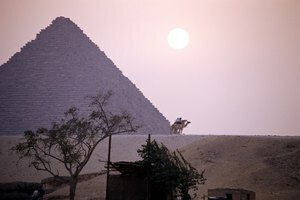 Relations between these countries, while still uneasy at times, have thawed in recent years due to improved diplomacy. Sikhs are the majority population in the region of Punjab, India, though in India as a whole, they represent only 1.9 percent of the population. Sikhism is monotheistic, viewing God as a genderless, ubiquitous, benevolent, invisible force. Sikhs believe time is cyclical rather than linear and, like Hindus, they believe in the concepts of Dharma and Karma, but they do not have a caste system. Despite some similarities, Sikhs consider themselves ethnically and culturally distinct from Hindus. Violent conflicts have erupted between members of the two religions over water rights and time allotted for religious speech on the radio. 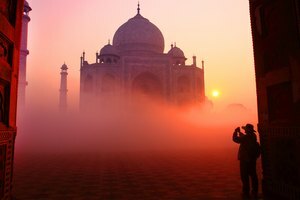 What Is Considered to Be India's Classical Age? Awana, Momi. "What Is Hinduism's Relationship With Other Religions?" Synonym, https://classroom.synonym.com/what-is-hinduisms-relationship-with-other-religions-12087674.html. 29 September 2017.